This father was shown walking on a Georgian city street, while holding hands with his two young children, his son to his left, and his daughter to his right. Having been given the green light to walk after pausing on the far side of the street, the three had entered the intersection, crossing inside a designated crosswalk. 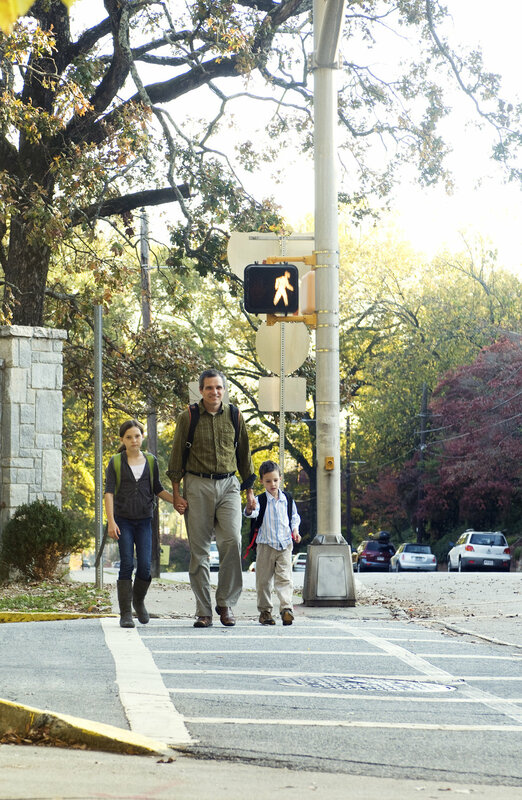 Adherence to the rules and regulations governing our roadways, as well as staying alert and focused on the activities taking place all around you, will make for a much safer walking experience, especially on a city street.